are shown. 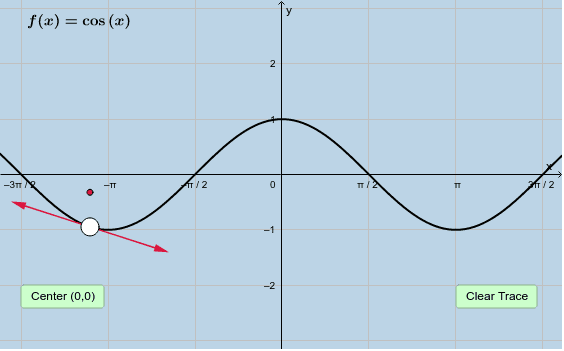 In each applet, drag the BIG WHITE POINT along the graph of the displayed function. 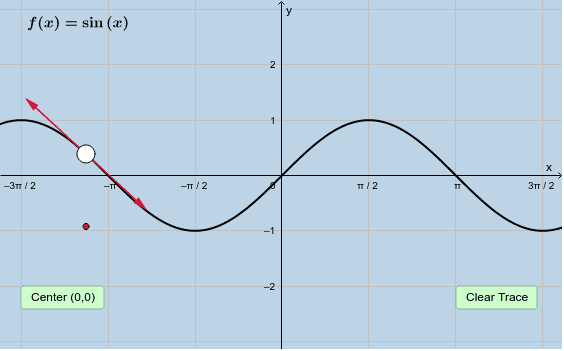 The y-coordinate of the point being traced out = the slope of the tangent line to the graph of f. Interact with each applet for a few minutes, then answer the questions that follow.